New York punks The Brass visited Kansas City on Monday night and brought along their new LP, "Our Own Path." The band's rugged sound and dedication to oi! punk's fundamentals have earned them a strong following among Kansas City rockers and hooligans. 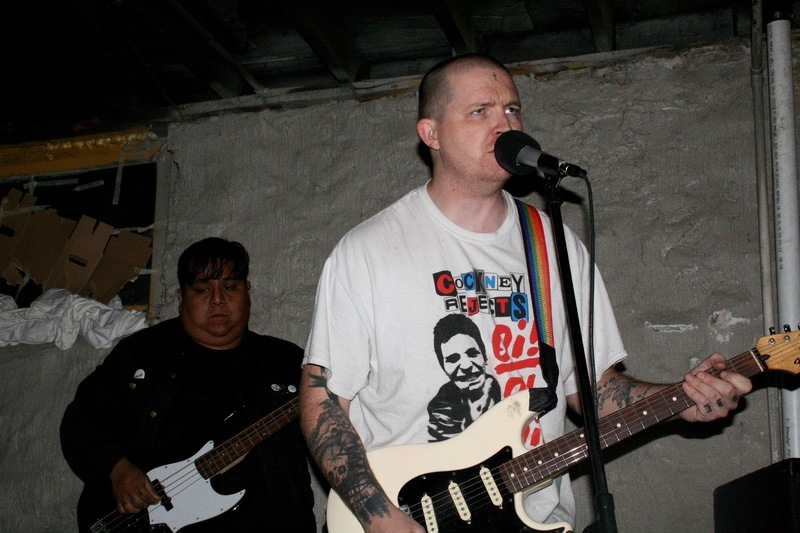 Along with tracks from the new record and recent EPs, to the delight of many in the basement, the band covered a few of the genre's classics, prompting hearty, fist-shaking sing-alongs. Closing out the night was a set from much-adored Kansas City punks Mentira. The band recently played Everything Is Not OK Fest and locked in plans for a 7-inch record coming later this year. The show was opened with a set from Bedroom Wounds. 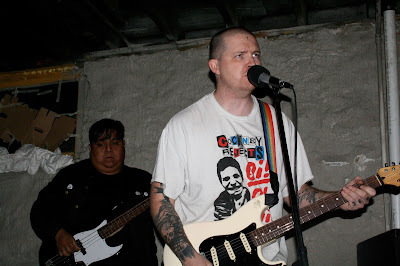 Despite having put together an ensemble for many of his previous outings, Kristian Kyle Ratliff has been left to perform his songs alone for now, swinging his arms and stomping about as he sings over his crumbling post-punk soundscapes.